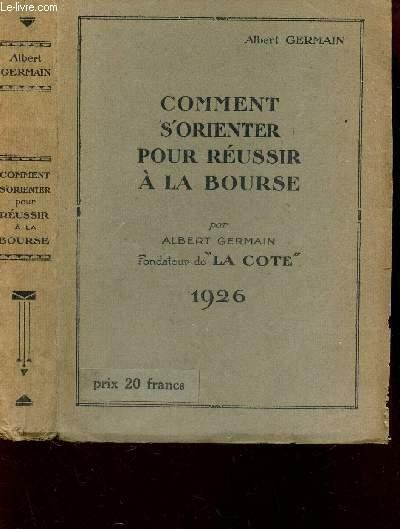 Home GERMAIN ALBERT COMMENT S'ORIENTER POUR REUSSIR A LA BOURSE. COMMENT S'ORIENTER POUR REUSSIR A LA BOURSE. Title: COMMENT S'ORIENTER POUR REUSSIR A LA BOURSE.